We’ve talked about subscription boxes time and time again. Today we’re going to check out the phenomenon that is Glossybox. Before we go any further though for April if you click here and enter the code GB50 you’ll get your first box for only £5. It’s too good not to have! 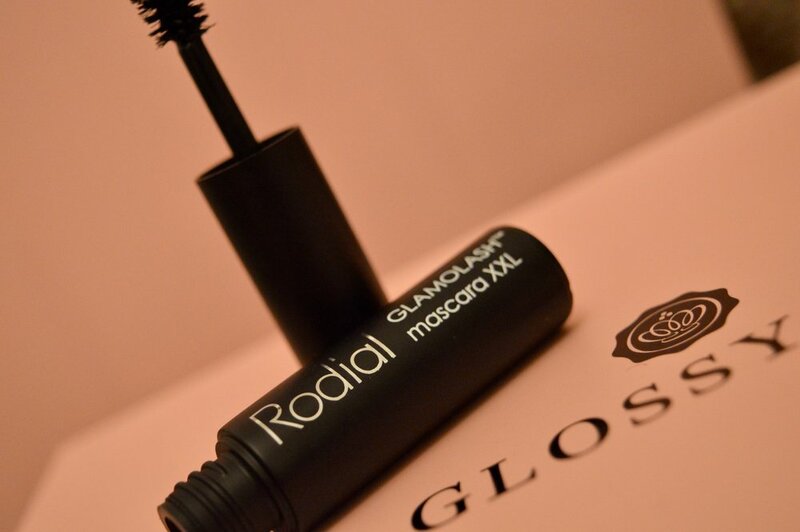 Glossybox was launched in 2012 and since then has taken the world by storm with their carefully selected 5 product box. Which arrives at eager subscribers’ front doors every month. With globally known and up and coming brand’s you’re sure to discover a whole range of amazing products that quite possibly haven’t made it into your beauty regime…just yet. 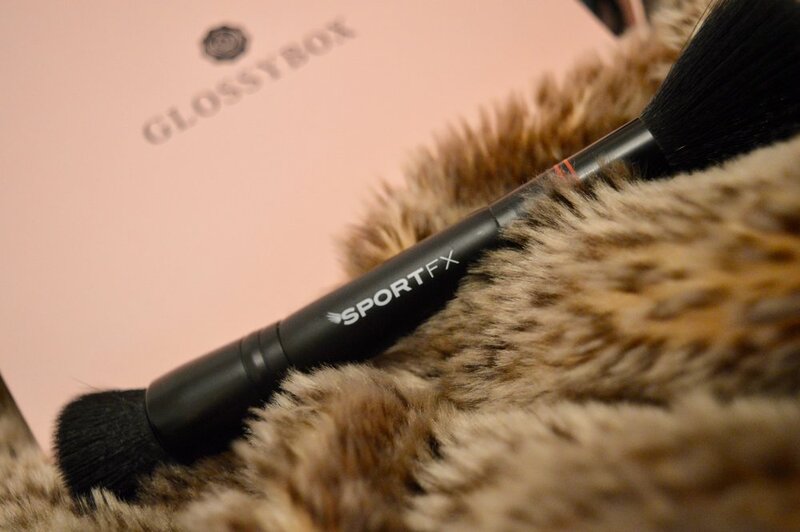 This month’s Glossybox arrived in a sleek black branded box. I couldn’t wait to get into it to see what was inside. Ripping back and lifting the lid of the postal box. A soft pink box branded with the words Glossybox was inside. As I removed the box from the slightly larger outer box and lifted the pink lid I was greeted by the gorgeous, delicate pink tissue paper. And a Tiffany’s style tied ribbon. Gently pulling on the ribbon to release and pulling back the tissue I discovered this month’s five products. With a fragrant and clean scent. This 2-in-1 cleansing shampoo & hydrating conditioner is great for coloured hair and not only adds lustre. But it also revitalises in a way that saves time and gets the job done. This 100ml size is perfect for throwing in your suitcase and treating your hair after the sunshine and chlorine have played war with your new do! This soft touch makeup brush is a great addition to both professional makeup artists and those of us who try and wing it with badly winged liner! You can’t have enough brushes now, can you? Especially when this dual-purpose brush is great for applying powder. And then really making an impact to contour with the following product showcased. 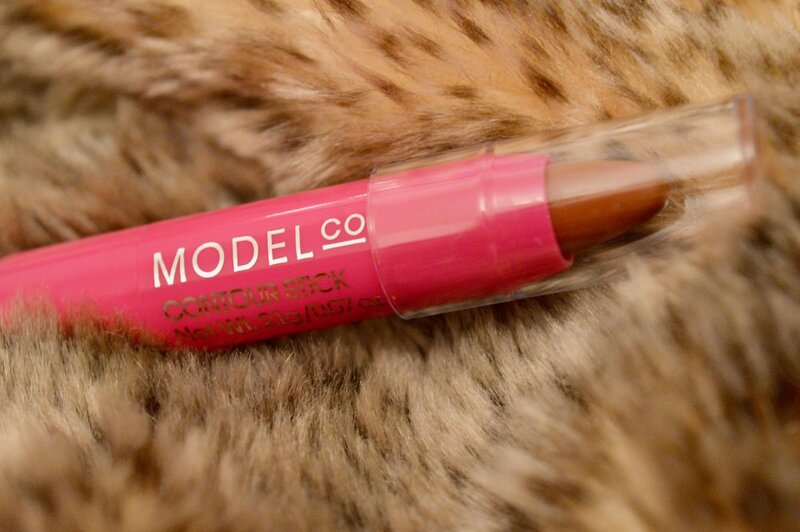 The Contour Stick by Model Co.
It’s no secret, contouring is here to stay! So we may as well have the best tools for the job to perfect that perfectly chiselled look. This contour stick is super simple to use just simply apply under the apple of the cheek and blend, et voila gorgeous. You can never have lashes big enough or thick enough. I like my lashes as dark as my soul and that’s black. So with this XXL mascara, you can have the best of both worlds. This handy compact is great for throwing in your handbag to top up on the go. All in all, for my first Glossybox experience I really loved the luxurious unboxing and the five different but useful products. At £5 this month you can’t argue that it’s a total steal. I’d recommend the Glossybox to those of you looking for an affordable monthly treat. Especially even at full price (£10-£8.50 depending upon subscription type), each item works out at £2 or less! You can’t argue with that now can you? Make sure you don’t miss out on your £5 Glossybox for April only. You’ll need to add the code GB50 at the checkout. As a subscription lover, I also recommend Scent From a monthly candle subscription service (£5 off with code ELLE5). Bloom Box Club if you’re a fan of plants. Alternatively the brand new Snackbox Subscription from myvitamins. Previous articleDesigner candles with a celebrity following.